After a full days driving, we were about half an hour away from camp, when it all when pear shaped, and I got seriously bogged in a salt lake, miles from anywhere. 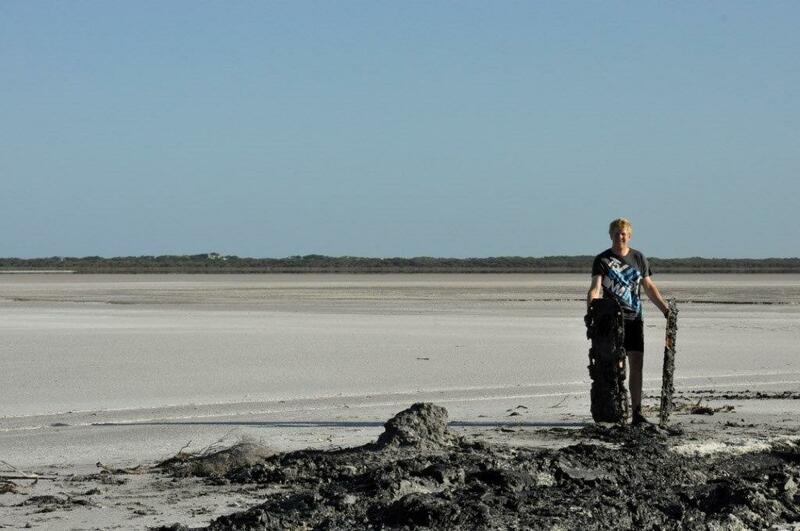 You can read more about it here – Bogged in a salt lake in my 4WD. This photo was taken at the end of the recovery, when I was relieved as, but still pretty annoyed!